By way of this letter, “KSK LABS, S.L.” (hereinafter “KSK”), informs the users of the website www.mycbd.com, in accordance with article 13 of the European Regulation 2016/679 of the 27th of April (GDPR), on the protection of natural persons with regard to the processing of personal data and on the free movement of such data, with the purpose that they decide in advance, unequivocally, freely and voluntarily, to provide “KSK” with the peronsal data that is requested of them for the obtainment of the various products that are offered in the framework of the online sales of our website and where you can acquire cosmetics and food products with industrial hemp as the main ingredient and other related service described in the website itself. Therefore, users are informed that the personal data provided will be incorporated into a file, duly registered in the Data Protection General Registry, of which the holder and responsible person is “KSK” (CIF – 66300567), with the office registered at C/ Gran de Gracia 15, 1 º -1 ª, 08012, Barcelona, carrying out a mixed treatment with the purpose of maintaining the trade relationship as well as the management, administration, provision, expansion and improvement of our service. If you register for our newsletter, you may also receive advertising information about all of our products. As for the possible transfer of data to third party collaborators, you will always be limited to your prior consent or when you respond to the free and legitimate acceptance of a legal relationship whose development, fulfilment and control should imply the necessary connection of the above mentioned treatment of files from a thrid party. Also when it is covered by a legally binding law. Your data may also be transferred to the delivery companies in order to carry out your order. Unless specifically stated otherwise, it is deemed necessary to complete all the required data on the exiting forms on the website, in a true, accurate, complete and up-to-date manner. Otherwise, “KSK” may, depending on the case, not proceed to the registration of the user, or deny the specific service requested. In the same way, in accordance with what is established in the normative catalogue of data protection, the user can exercise their rights of access, rectification, cancelation and opposition, by directing a written communication to “KSK”, C/ Gran de Gracia 15, 1º-1ª, 08012, Barcelona, in which they attest to their identity. The application must contain the name, surname and a photocopy of the DNI of the interested party or their legal representative, as well as the accrediting of the representative, the petition of the request being made, the address for the purpose of notification, the date and signature of the applicant and any documents which support the formulated request. If the application does not meet the specified requirements, it will require rectification. With regard to the right of access, it shall only be refused where the application does not meet the above mentioned requirements and no legitimate interest is credited to the effect. No consideration will be required for the exercsing of rights. Any applications regarding the exercising of the right to cancel identification data of the user may not be addresses while they maintain their relationship with “KSK”. However, users may object to the processing of their data regarding the receipt of advertising information about our products and offer, upon subscription to our newsletter. “KSK” has adopted the technical and organisational measures necessary to ensure the security of the data and prevent its alteration, loss, treatment or unauthorized access, taking into account the state of the technology, the nature of the data stored and the risks to which they are exposed, whether they come from human action, or from the physical or natural environment. Technical and organisational measures have been adopted to achieve the basic security objectives, such as: confidentiality, understood as the limitation of access to information by unauthorized persons; the integrity, understood as the maintenance of the reliable and quality information, and the availability, understood as the guarantee of access to the information system by the request of an authorized user. In complience with Law 34/2002 of the 11th of July on Information and Eletronic Commerce Services and the modifications in it introduced by Law 32/2003 of the 3rd of November, General Telecommunications, it is noted that the acceptance of this clause through the option in our newsletter, also implies your consent to receive advertising, relating only to the social purpose of the company, made by email. 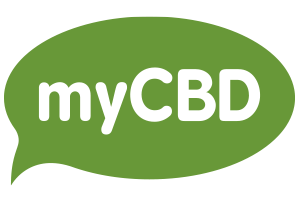 At all times the user may object to the processing of their data for these purposes and revoke the consent provided, if they provide a sufficient written communication directed to “KSK”, C/ Gran de Gracia 15, 1º-1ª, 08012, Barcelona, or by email to info@mycbd.com, indicating in the subject of the mail “UNSUBSCRIBE”. Specific consent will be required. The website of “KSK” does not contain links to other web pages that may be of interest to the users.